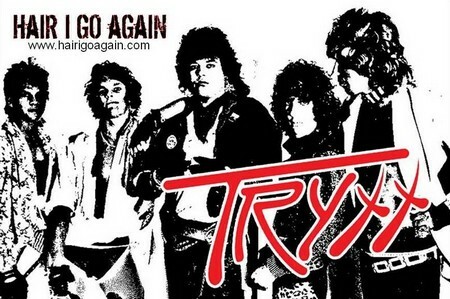 Home›Features›Hair I Go Again - The Quest of Two Rockers to Revive Their Old Band! 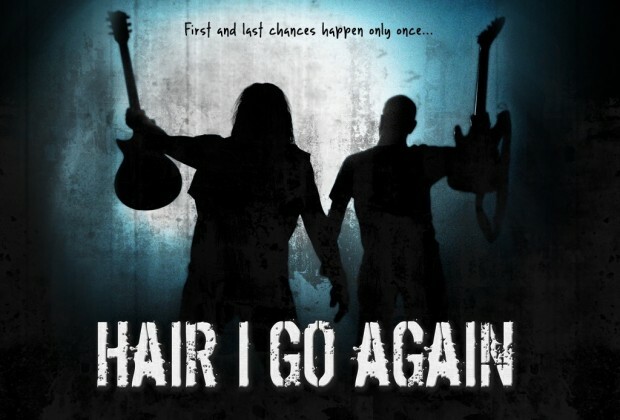 Hair I Go Again is the story of two aging rockers who played together in several amateur bands in the 1980s. Still fans of music, the twosome come up with the ultimate goal – reunite with their classic 80s band, play some gigs, and record some new material. Unfortunately, this proves to be exceptionally difficult; their former bandmates live all over the country, and in many cases are working full time jobs, returning to school, have wives and kids, are experiencing debts and financial hardships, and an endless number of other commitments. What stems from this fool’s errand of sorts is a musical journey across the United States, reuniting with old friends, seeing where everyone has ended up over the years, and (literally!) returning to basic music lessons, to be up to speed on everything in the event of potential recordings and gigs. Complications arise and financial difficulties threaten to derail the project, which ends up spanning multiple years, but will the dream be realized? 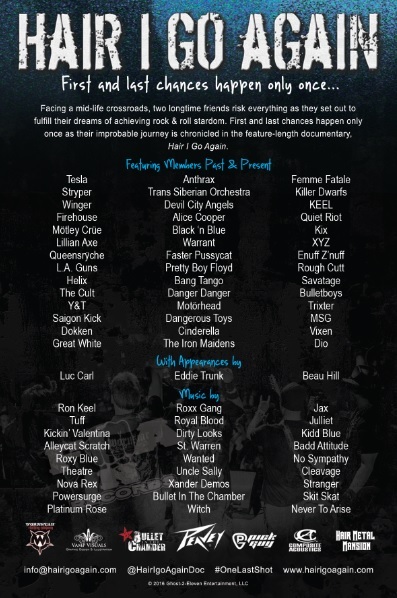 Hair I Go Again features guest spots and interviews from a number of musicians, primarily from the 80s hair/glam scene, including Stacey Blades, Phil Lewis, Oz Fox, Ron Keel, Frankie Banali, Lorraine Lewis, members of Anthrax and XYZ, plus metal media personalities including DJ Luc Carl, and That Metal Show host Eddie Trunk. There is a large number of rock and roll documentaries out there these days; that is certainly nothing new. Hair I Go Again is the latest in a growing number of them, but definitely does manage to bring something both new and memorable to the table. Whether a musician yourself or just a fan, chances are it will hit close to home in more ways than one. If you are reading this review, chances are the rock and roll lifestyle has been a part of your life to some extent. Hair I Go Again is great because we get a look at two lifelong friends who have not given up on their dream, and are willing to go the extra mile to recapture it all. The difference in levels of devotion towards accomplishing this goal between these two longtime friends and their former bandmates makes for a rather interesting contrast. On one hand, you have two friends going for broke (literally!) in their quest, pouring years and money into a foolhardy quest that may or may not come to fruition. And on the other end of the spectrum, you have the other former band members, who have moved on and seem content in their respective lives, with wives and kids, and jobs and potential careers they need to devote themselves to fully. The great thing about Hair I Go Again is that, even though this is not a “dream scenario” where everything fully works out the way that our protagonists and us as viewers want it to, you can certainly sympathize with the participants on both sides of the coin here. Another admirable trait of the picture is that it does not shy away from the harsh and often ugly realities of the music world and the business at large; this is well reflected through the interview content with established musicians. You have artists not afraid to reveal the truth of the bleakness of today’s music industry, yet at the same time there are personalities who want these would-be rockers to give it their all and pursue their dream while there is still time. Perhaps the best thing about Hair I Go Again is that we actually give a damn about our heroes. The outcome of the film is not what these guys set out to accomplish initially, but they are able to find another form of personal triumph. The experience does manage to feel authentic, and aging rockers and fans are going to find a lot they can relate to here. Overall though, Hair I Go Again is a solid film with an interesting premise, likable personalities, and some of the top names in classic hard rock and heavy metal along for the ride, with their own comments to add to it all. From laughable, comedic moments to the more dramatic and gripping material, it hits all the high notes (no pun intended). Absolutely worth checking out! 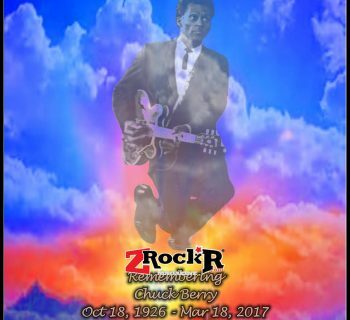 Chuck Berry - In Tribute of His Passing, a Look Back at Some of the Best Cover Versions! LA Guns Live in Boston 1989 - A Classic Concert from these Electric Gypsies Finally Gets a CD Release! Queensryche - Condition Human Tour Rocks the Las Vegas Strip!